So this episode delved once again, into Emma’s past and her best and only friend Lily growing up. As we learned recently, Lily is the daughter of Maleficent, sent to our world with Cruella and Ursula after being doomed to be dark with the ritual Snow and Charming asked the Sorcerer’s Apprentice to perform. In the flashbacks for this episode, we saw Emma in one of her many foster families, thriving until Lily shows up in her garage. This begins to cement, even this far back in their childhood that they are two people who are very closely intertwined and the fates would have them always be in each other’s lives. Lily is asked by Emma’s foster family to stay for dinner, and Lily quickly decides that her family is lame and shes being unnecessarily restricted and makes efforts to “free” her. Turns out, Lily had been involved in a gas station robbery recently and the police were looking for the masked assailants which were her and her boyfriend. She asks Emma to get a necklace from her and her boyfriend’s hideout because its from her birth mother and she couldn’t leave it behind but didn’t want to see her boyfriend. Emma returns to her house with the necklace to find that Lily is gone and has stolen all of the money that her family had saved for a vacation they were planning. The father chooses some less than desirable wording when scolding Emma and Emma runs away. 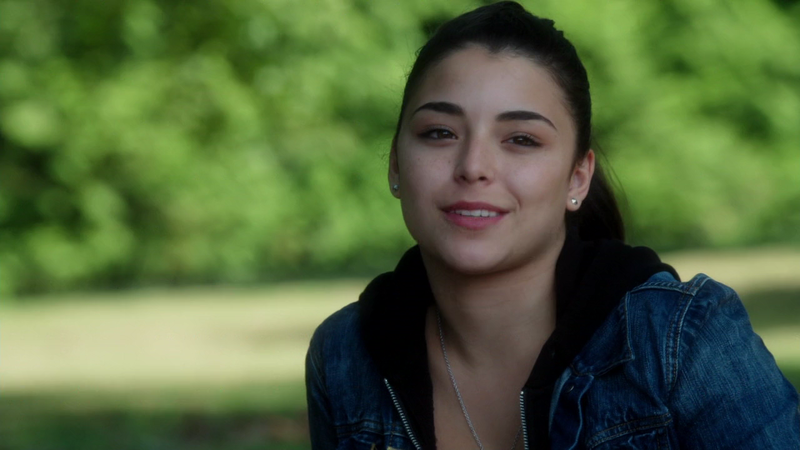 When Lily finds her at a bus stop, she reveals she took the money so that they could go anywhere together. Emma burns that bridge when she tells Lily that she ruined something good for her, and on the bus later we see Lily meet the Apprentice, who tells her all about who she is and where she comes from. Earlier, we had seen him talk to the Sorcerer, who appears to be just floating magical energy about what had happened with the Author and the Charmings. The Sorcerer agrees that the Author needs to stay in the book and must never be let out. This is also when we get confirmation that Emma and Lily are indeed destined to be around each other but, we don’t know what fate has in store for them. In the present, Emma and Regina leave Storybrooke in order to track down Lily and reunite her with Maleficent and also stop Zelena. Maleficent has secretly turned on Rumple after Cruella’s death, saying that this is a sign that he is only in it for himself. So now she has an uneasy alliance with the heroes. We find out that Lily had lived in the same city as Emma 5 years ago, further showing their connection, even when they had split ways. Even though it is an old address, they go to check it out, but find out that Lily had died a few years back in a car crash. 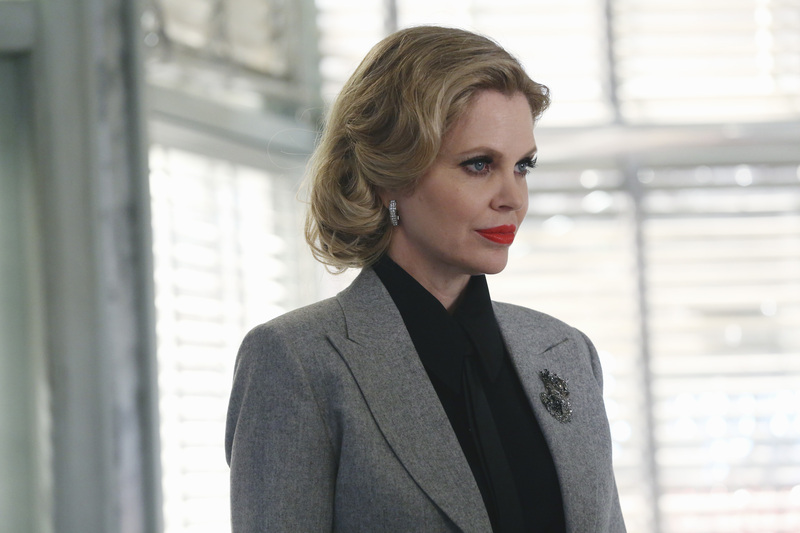 In their defeat, Regina and Emma decide to head to New York to stop Zelena. On their way down the road, Emma’s car blows a tire and they just so happen to roll up on a service station/diner. Inside, a woman named Starla pours Emma some coffee and Emma notices a familiar birthmark of a star on her wrist. This woman is Lily. Emma reveals her identity and Lily tells her to basically go away, telling her that she has a husband and a daughter now and that she hasn’t thought about Emma for years. Come to find out, she lied and Emma knew it. Her and Regina find Lily’s house and find a board in her house that reveals she had already known all about her origins and Emma’s connection to it and was looking to get revenge on the Charmings for separating her and her mother. Regina and Emma hear Emma’s car speed off, stolen by Lily with the scroll in it that will let Emma and Regina(and now Lily) back into Storybrooke. Back in Storybrooke, Maleficent has been put in charge of guarding Belle’s heart as well as a magical barrier put up to keep Gold out. He comes to the door and distracts Maleficent while Will sneaks in through the window and gets Belle’s heart, taking away their leverage on him to keep Zelena from hurting Robin. Gold meets up with Belle for the first time(that she remembers or knew about) so that he can put her heart back in her, promising that he will not hurt her anymore for fear that his last bit of light in his heart will die if he does. It seems the uneasy start of forgiveness lights up in her but, it’s still a long way off. I really miss her smiling at him…like a lot. It’s probably because of personal experience with that kind of hopeless feeling of trying to make sure someone you love is happy but not being able to have direct control in the situation because they don’t want you there. 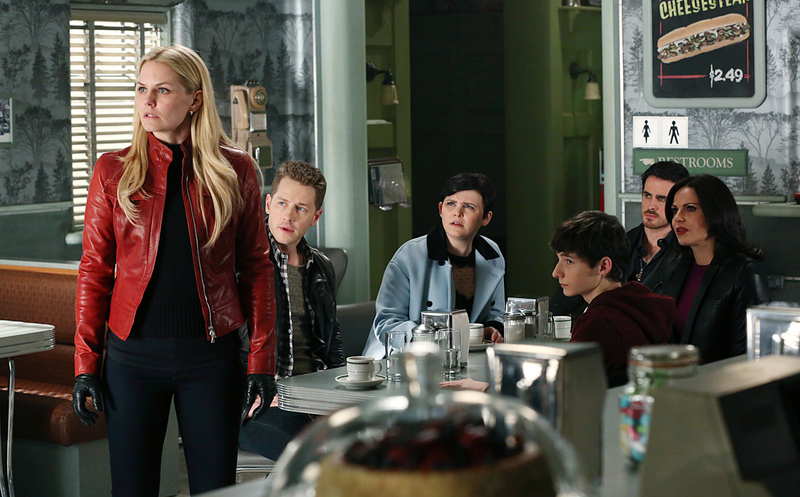 In New York, Regina, Emma, and Lily arrive and warn Robin of what has happened but he will not believe it at first. Zelena comes home in her Marian disguise but breaks it after very little prompting. He still will not turn on her because, shes’s pregnant! Next episode looks like Lily is still on her mission of revenge as she asks her mother how they are going to get that done. All characters and images are copyright of their original owners.